MelbourneLimoLink is a Melbourne based business. They are available 24 hours a day – 7 days a week. They are contactable by phone, SMS, email and available during all times of the day. They have various service cars throughout Melbourne. Their professional drivers are knowledgeable about both metropolitan Melbourne. The company services include, Airport transfers, corporate functions, special events, Urgent parcels, Country Runs, weddings. All our prices are Taxi based. A local Mediterranean restaurant that delivers a great tasting variety of food to homes, offices, and dorm rooms in the Ann Arbor area has recently undergone a transformation. After proudly serving their customers for nearly 25 years, the restaurant is being passed to the next generation. This building is very familiar to their childhood and where the journey first started. Baba Dari Mediterranean Grill carries on the legacy! 4SaleMall is marketplace for selling & buying products. Users can either post products for sale or search for necessary goods to buy. 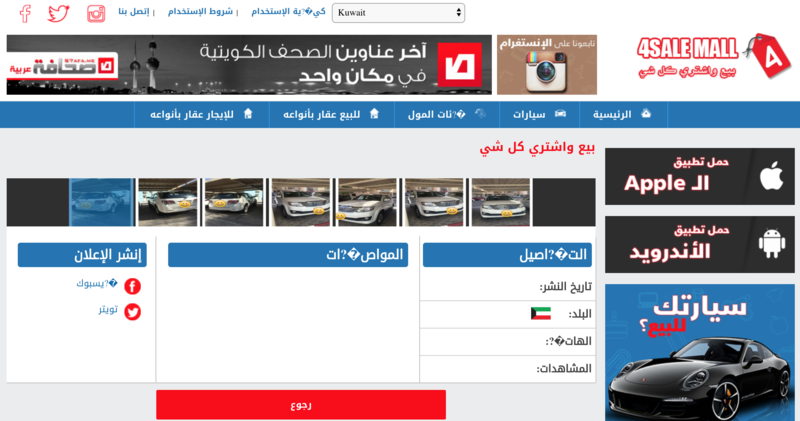 Ads are allowed from Kuwait, UAE, Qatar and Saudi Arabia. TopOfStack Software has developed iOS, Android app , Website, Admin panel of the complete solution from scratch on 2013. Currently not in contract after change of owner. The company can help you navigate the challenges of aligning marketing objectives and technological capabilities by implementing and managing the technology and supporting processes needed to collect, analyze, and deliver unique experiences. Chakuri.net is a revolutionary job portal in Bangladesh. It has launched in 2015 along with apps for Android, iOS & WindowsPhone. The job portal re-publishes all jobs from different sources (online & offline). It has wide range of search options. Employers can directly post job advertisements without any fee. This is a renowned company in France. It has quickly established itself as the No. 1 real estate loan brokers. Its mission: to make the simplest mortgage and more accessible to everyone by bringing together all the solutions to achieve your dreams of home ownership. We have designed a website for them. A digital solution was developed for a school of Special/Autistic children that includes routine management (student wise with prescription), fee management, student management, reporting, design, graph etc. We have made a robust admin panel for “My Comparateur”. We also develop reporting, design, Graph etc. for them. Push web has an api and admin panel for a game Apps. Here an admin can view, edit, update, delete, backup the full game data, send push notification to game users and so much more options have there.